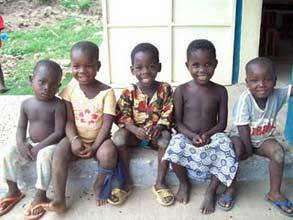 The situation for Togolese children is evolving steadily into a better and more stable one. In spite of this progress, however, much time and work is still required to fulfill the basic rights of the child. It is also essential that Togo improves its education, health care system, and child protection services as soon as possible. Togo is one of the poorest countries in the world: more than 30% of the population lives below the poverty line. The GDP (gross domestic product) is also extremely low. Certain regions are more affected than others, as the poverty rate is considerably higher in rural areas than in urban areas. One of the most serious problems of health care in Togo is the prevalence of the AIDS virus. About 120,000 Togolese are estimated to be living with HIV. This is a distressing problem regarding the status of children, as mothers will frequently transmit the virus to their infants because of the lack in health care structure and screening procedures. 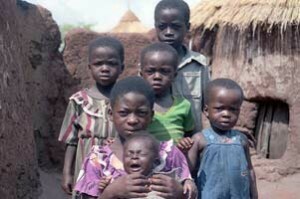 Even if the children do escape the transmission of the virus, many of them are orphaned by the death of their parents. 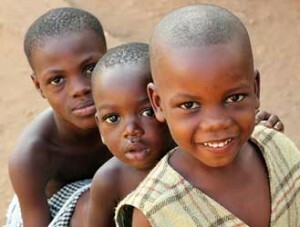 About 66,000 young Togolese are AIDS orphans. Children are also affected by other serious illnesses. Health care structure and medical materials are lacking, hygiene is insufficient, and there is not widespread awareness among the population. These factors cause somewhat benign illnesses to spread to dangerous proportions among the Togolese population. Malaria, respiratory infections, pneumonia, diarrhea, and measles take the lives of children every day. Living conditions are horrible for the disabled in Togo. Disabled children are widely discriminated against, and they don’t have the same opportunities as other children in the areas of health care, education, or work. Because of a lack of qualified personnel to care for these children and a lack of adaptations for them, they frequently turn to life in the streets, begging, ignored, and despised by passersby. Even worse, handicapped children are sometimes deprived of their right to life. Infanticide persists, as parents take the lives of these children under the pretext that they are signs of bad fortune or dark omens. 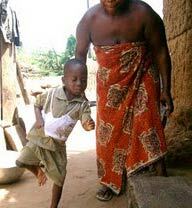 The practice of female genital mutilation still exists in some regions of Togo. These female circumcisions are carried out in unsanitary and unstable conditions, which often have serious consequences on the health of young girls. Infections, hemorrhages, or other problems with the operation frequently occur. 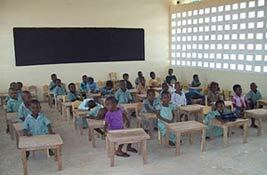 More than 20% of Togolese children do not attend school. However, the situation has improved recently, as free education has become available. NGOs are starting to see the fruits of their labor, having brought in massive aid and materials. Still, numerous efforts must be put forth to reach a satisfactory outcome from this insufficient state. School buildings are also substandard and in deplorable conditions. A primary class usually has around 80 students squeezed into old, cramped buildings. Some young Togolese in very poor rural families cannot always attend school because of secondary costs that their schooling would cause. According to a study by Rural Children, one in four Togolese children have received severe physical punishments, even though Togolese law prohibits corporal punishments in all domains, including school, family, and judicial. This violence and abuse occurs daily in schools. Teachers don’t hesitate to use serious and cruel punishments to ensure that students obey them completely. These punishments are sometimes doled out for completely inconceivable reasons. For example, an injured child who cannot do physical labor will be beaten for failing to be exploited economically. These practices are, without question, contradictory to the Convention on the Rights of the Child. To put a stop to them, Togo must find other alternative methods which do not resort to violence, and instill these values into its practices. 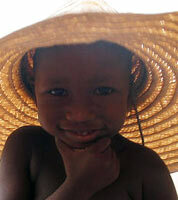 Unfortunately, almost 30% of children in Togo are forced to work from an early age. Young women and girls take physical labor jobs. Many of these Togolese girls are called “porter children,” and are exploited to transport burdens from one market stall to another. The working conditions are dreadful and the required work exhausting. Other girls become prostitutes to provide for their families’ needs. They work in inhumane conditions and risk sexually transmitted diseases, unwanted pregnancies, physical torture and poor treatment. They usually never recover from this life they are forced into. 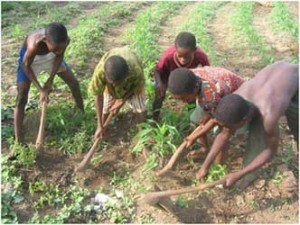 Other children are employed in agricultural jobs, working in fields. They are exposed to risks, as well: illness, insect and animal bites, and physical abuse. The most troubling aspect of this labor, which borders on slavery, is that it sometimes happens in the educational domain. Teachers profit from their students’ work for their own well-being and exploit the children’s labor for their own economic means. 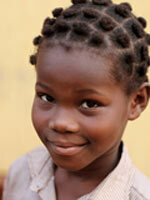 Almost a quarter of all girls in Togo are forced to marry before the age of 18. In addition, they are prepared for their future married life from a very early age. These marriages often have serious consequences on the health of young women, as they do not always understand the consequences of married life. More than 20% of births are not officially declared to the public authorities in Togo. These children do not have an official identity or nationality. These people have many difficulties in their lives, as they cannot enjoy their rights: they are invisible in the eyes of the society.